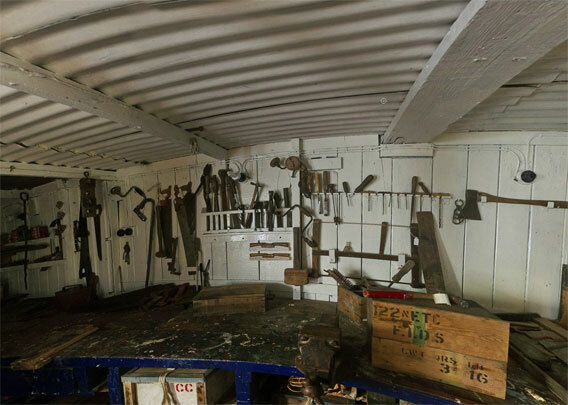 A virtual tour through Port Lockroy, the museum (former British station “Base A”) on Goudier Island in the Antarctic Peninsula. 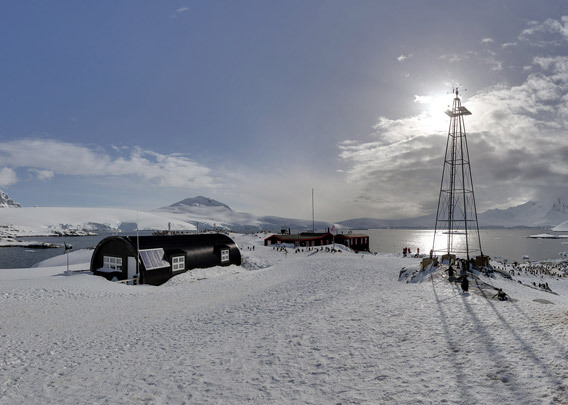 The whole tour consists of 12 panoramas, one from any exhibition space of the museum. You can either let it play automatically or you can take a virtual tour from room to room by clicking on the markers in the doors. 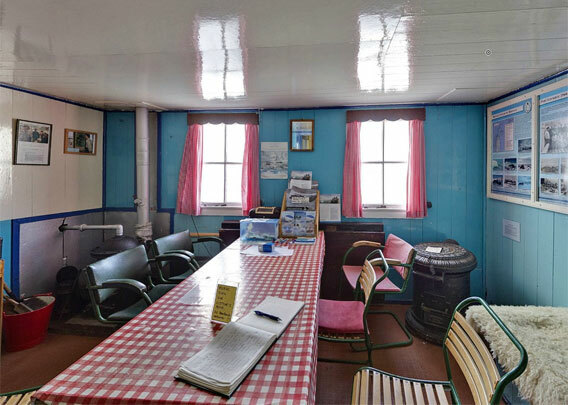 Port Lockroy (64°49,5’S/63°29,6’W) is on Goudier Island, a very small island in a well sheltered natural harbour, surrounded by the glaciers and steep mountains of Wiencke Island. Port Lockroy is actually the name of the bay, but the name is often used referring to the former base, now a well-known, very interesting and charming little museum and a very popular site for visitors. The station was built as „Base A“ in 1944 as part of the slightly mysterious British „Operation Tabarin“, which was meant to establish a British presence in an area so far unoccupied at a time when German military activities had to be feared. After the war, the bases of Operation Tabarin were turned into research stations, most of which were abandoned during the years to come. Base A was in use until 1962 and started to decay after that. 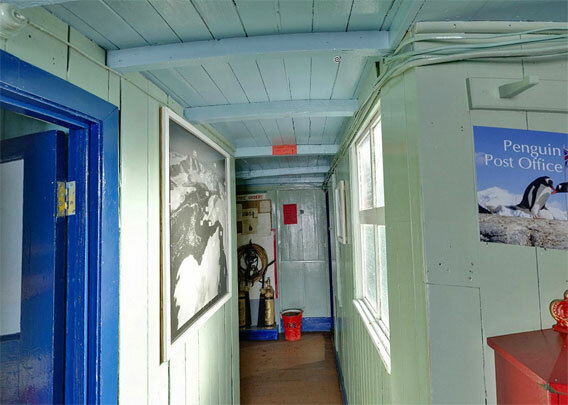 In 1996, the British Antarctic Heritage Trust (BAHT) took the place into use again by starting a comprehensive renovation and restauration process. 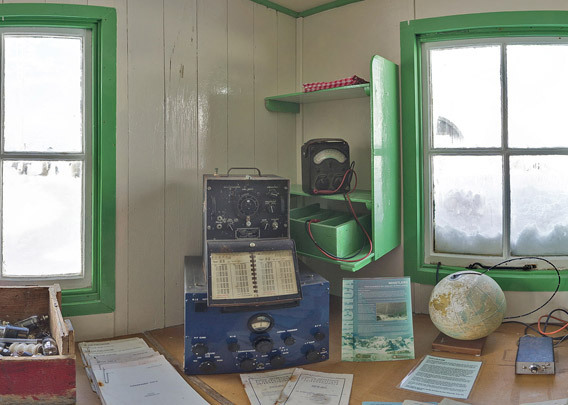 The BAHT is now running „Port Lockroy“ very successfully as a museum and post office. 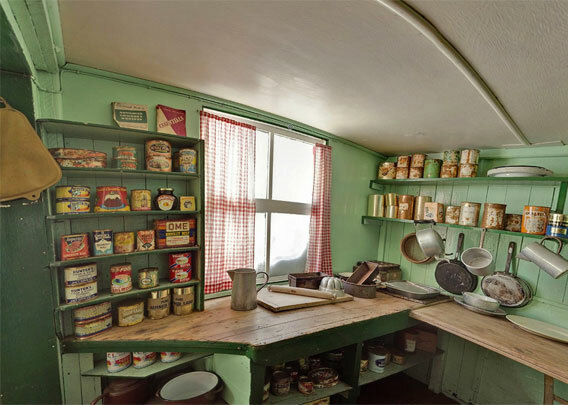 Visiting the museum gives tourists a very interesting impression of a station in the 1950s, a time after the „heroic epoch“ but before modern times really came to Antarctica. Sledge dogs were part of every day life during a service period that would often last three years, but satellite-based communication and navigation and other modern technical achievements were unheard of in those days. Additionally, Goudier Island is home to a colony of very friendly Gentoo penguins, who do appearently not mind the presence of tourists too much as long as they (the tourists) are well behaved. This is confirmed by annual studies carried out by the museum staff: Comparisons of breeding success in the visitor areas near the museum and those further parts of the island that are off limits for tourists do not show a difference. It may even seem the Gentoo penguins are doing better in the visitor area. It has been suggested that the regular presence of humans keeps Skuas away (predatory birds). 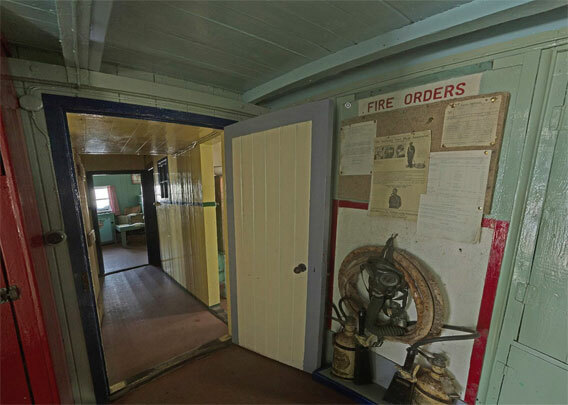 No research is done these days on Goudier Island beyond these studies, and the place has lost its status as a station in 1962. 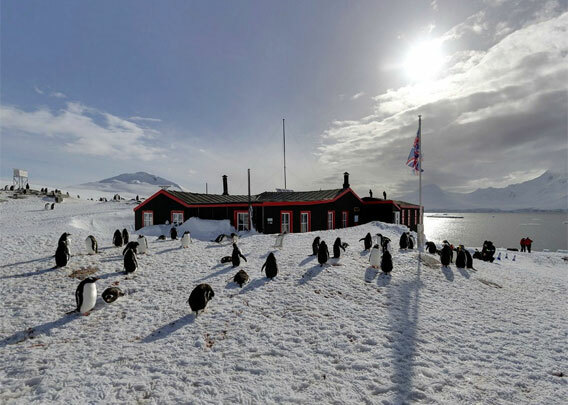 It is now a museum and post office and certainly a more interesting, more beautiful and more wildlife-friendly place than any Antarctic station I have seen. 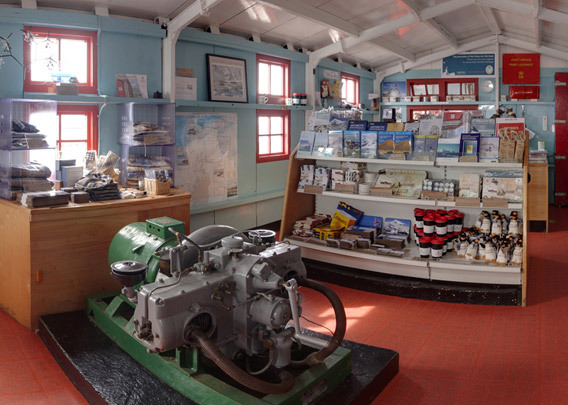 New in 2018: Now we finally have two panoramas to the museum shop. The souvenir shop is highly popular, they have got a lot of nice stuff, and sales support the museum. The „Monroe“ on the door has become quite famous, make sure you don’t miss it. 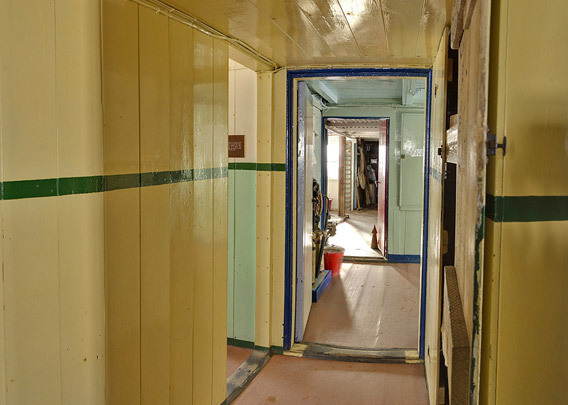 We continue through the corridor into the museum, passing the workshop. The workshop is actually not part of the exhibition, as it is still being used. But let’s have a curious look … it is still not too different from what it would have been like in the years following 1944. Several doors are leading into the various rooms of the former station. Make sure you don’t miss the bunk room. 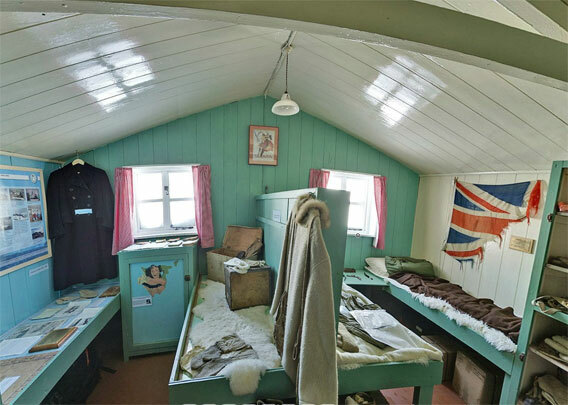 Single rooms were obviously nothing one would have bothered with in those days – remember, Base A was built as part of a military operation. The museum staff had their accommodation here until quite recently (2011), but due to the room climate, this was neither good for the people nor for the conservation of the historic room. When the bunkroom was restaurated and turned back into its original state, several paintings of female stars of those years came out on the walls, similar to the Monroe in the shop. The lounge has a very English atmosphere, stocked with a small library, bar and gramophone. If you are lucky and there are not too many people around, then you might even hear some 1950’s music with a very original sound, while a young Queen Elizabeth II. and her equally young prince consort are watching you from the wall. Since then, they have changed more than this once quite lively and still very lovely place. 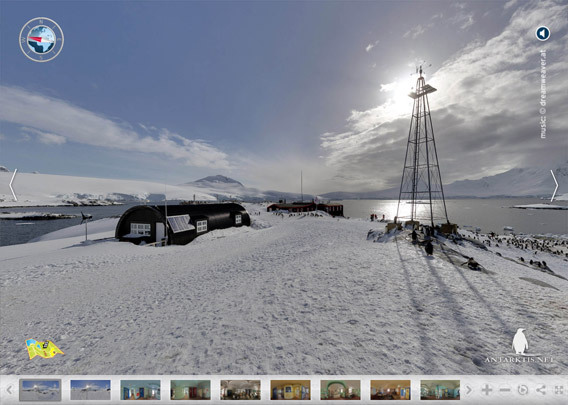 The science room is the furthest and the last one of our little virtual tour. 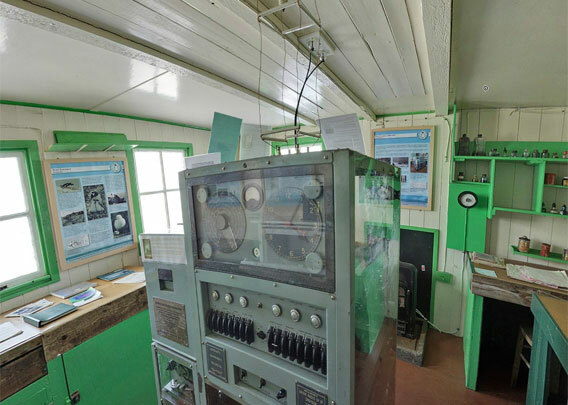 Here, you can see all kinds of research equipment, the latest of its kind in the 1950s. Absolutely modern in those years, but of course only of historical value today. 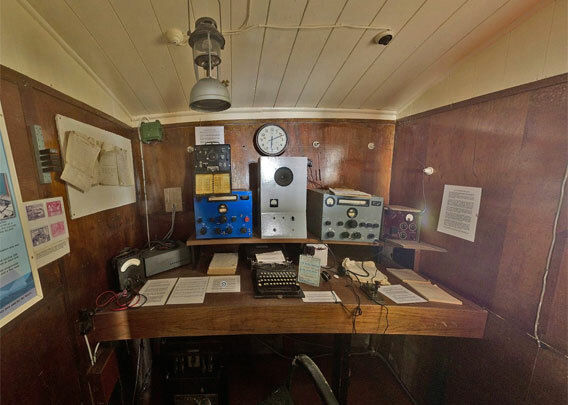 Next to meteorology and surveying, ionospheric studies connected to the transmission of radio waves, from which use could be drawn both for military and civilian purposes, was an important field of work for the scientists. I was there in January 2007 with a GAP group from the Explorer, which sunk later that year after returning to the Antarctic in late Fall 2007. I remember most of this, but there was less snow and I do not remember the lounge. Thank you for the great photography. Thank you soooo much for this tour. 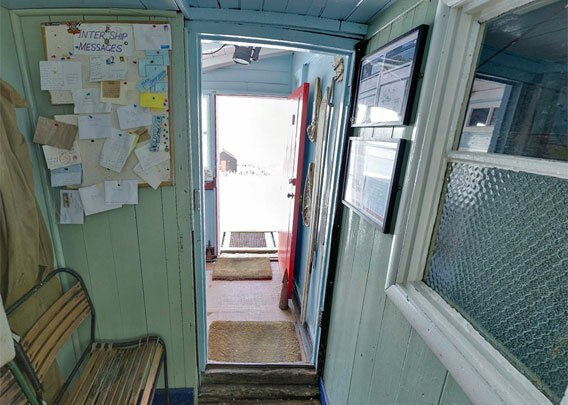 I’ve been working on PenguinWatch and the Post Office at Port Lockroy is my favourite site for penguin counting. They sometimes appear to queue at the windows for service and this is often humorously commented on by us citizen scientists. Best wishes. ONE CAT – TIDDLES!! Plus…Alan, bernard, john and myself….Good days!! !